This is a special amnesty for members who did not renew in 2017. $40 includes 2017 amnesty renewal dues and renewal 2018. Includes a $2 online processing fee. 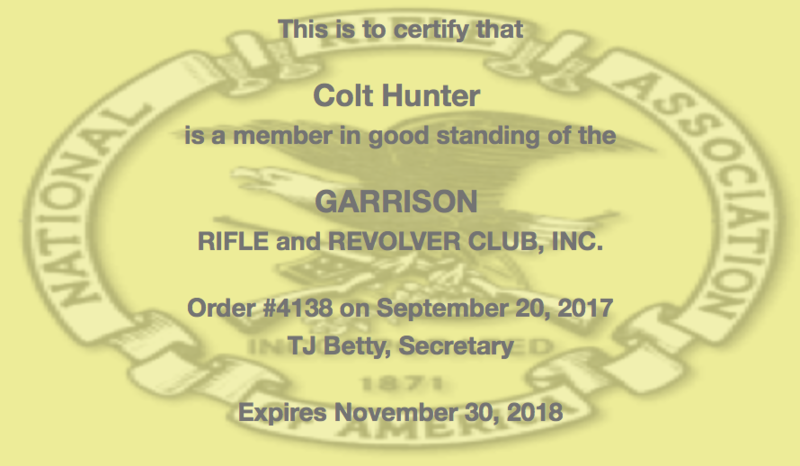 A 2018 club membership card will be e-mailed to you in the completed order receipt. 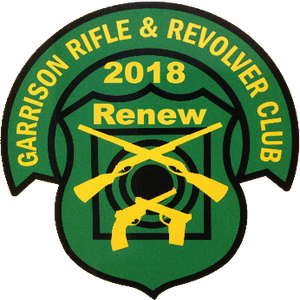 This item is for only those who were regular members of Garrison Rifle and Revolver Club in 2016, but did not renew for 2017 and 2018. Includes printable membership card. Example below. For those that did not renew for 2017. Offer expires on Nov 30, 2017. After Nov 30th our club will be updating the club roster and AGC range badge database to remove those that were not paid in 2017.